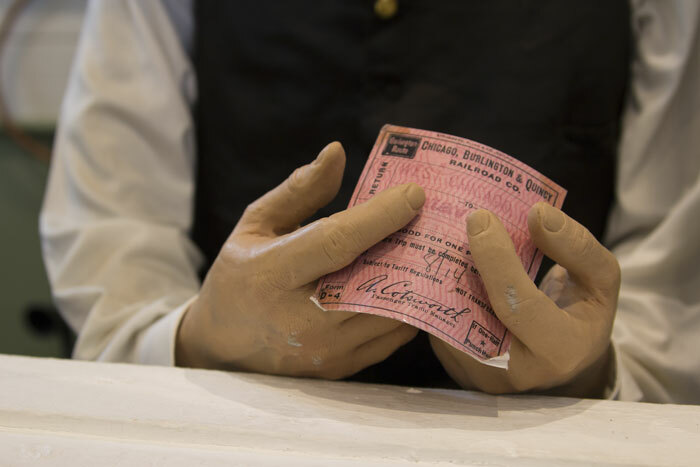 Batavia railroad history comes alive in a permanent exhibit about the Chicago, Burlington & Quincy Railroad (est. 1850), the Chicago & North Western Railroad (est. 1872) and the Chicago, Aurora & Elgin Electric Line (est. 1902). 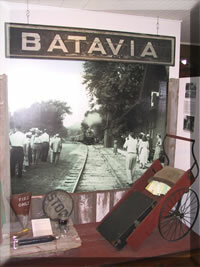 Three railroad lines served Batavia freight and passenger service until the mid-1900’s when the automobile became the transportation of choice. 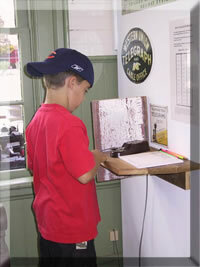 On display are many railroad artifacts, photos and ticket agent office. A detailed section on the telegraph system and it’s role in railroad history includes live telegraph keys where visitors can try their hand at sending messages using Morse Code. The Chicago, Burlington, and Quincy Railroad Depot was built by the Aurora and Chicago Branch of the railroad in 1855 to replace an earlier depot built at the corner of Webster and VanBuren Streets. This was the year the railroad became the C. B. & Q. The old depot was moved a short distance to the north and became a freight depot. Passenger service halted about 1943 and this building became a freight depot until 1966 when it closed for good. In 1849, the plan was to build only the twelve miles of track from Aurora to West Chicago (then Turner Junction) through Batavia and to call the new railroad the Aurora Branch. A meeting was held late in 1848 to reconsider building a railroad to the north. John VanNortwick, Chief of the Galena Road, and perhaps the moving spirit behind the new road, was at the meeting. Soon he represented those who wished to link Aurora with the Galena and Chicago Rail Road. Later he served as the fifth president of the new railroad from 1857-65. 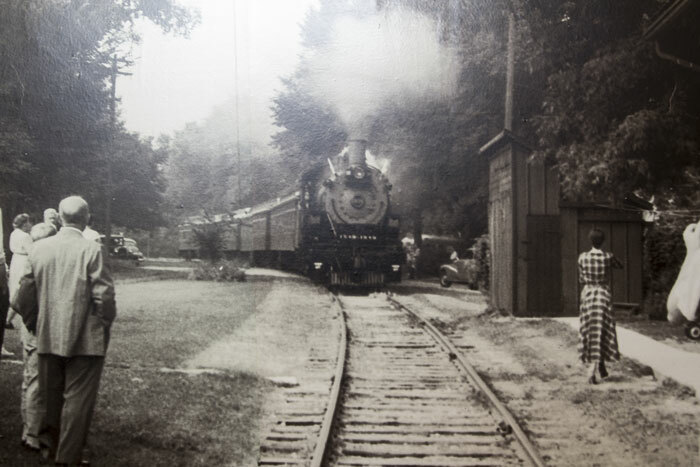 On September 2, 1850, after the track was laid from West Chicago to Batavia, the first passenger train left Batavia at 6:30 a.m. to make connections with the Galena Road. This train was made up of an engine named the “Pioneer” and a single coach borrowed from the Galena Road. This engine is now on display at the Chicago Historical Society’s Museum. On October 22, 1849, a passenger depot was authorized for Batavia at Webster and VanBuren Streets. This new depot became the Depot Museum. It is a broad-eaved “shed” building in a board and batten frame in Gothic Revival style. There have been a few exterior repairs, but the building is basically unchanged from its original construction. Other railroads that once served passengers from Batavia included the Chicago and Northwestern, built in 1870 to take limestone to West Chicago and on to Chicago. Its depot was at Wilson and Water Streets. The Chicago, Aurora, and Elgin electric (commonly known as the Third Rail) had a station on the south side of Wilson at the river. 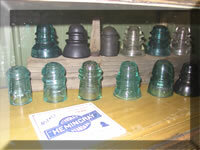 It was in operation until 1957. A streetcar line began in 1896, and its cars ran twenty times daily between Geneva and Aurora on its Batavia Avenue track. For more on the VanNortwicks, see VanNortwick Industrial Empire.